Art is not something I do on a regular basis. 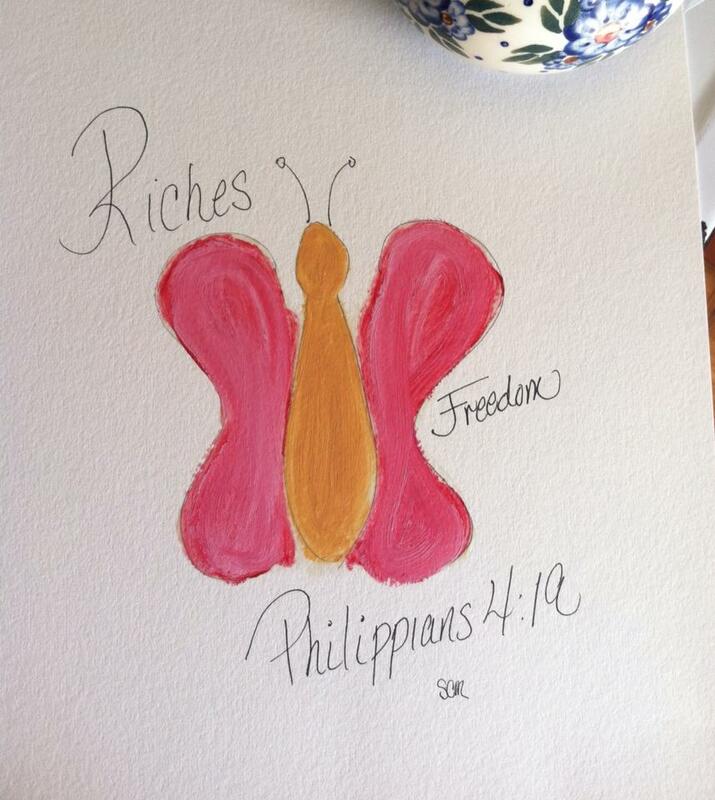 However, I was challenged to try to make a piece of art in 15 minutes based on a scripture prompt. Flashmob artists born out of the Five Minute Friday writing group. Little did I know that the real challenge was digging out the oils, resin gel, and getting some pens and paper from my husband … so I was a day late. Pen and ink Roughing of what I would say is one of the “riches” I have received.